Remember when there was a creative magazine in Delft where you could get published and read what other students and staff members are making? Neither do we! But in order to stimulate such creativity a team of students and staff are pioneering a new magazine, Hesiodos, and they are calling for your content. Are you a writer, poet, illustrator, cartoonist, or a photographer? A budding columnist perhaps with a scathing opinion? If you need an outlet for your creative, non-academic productions, look no further. Hesiodos will be published for the first time in May 2018, in print. 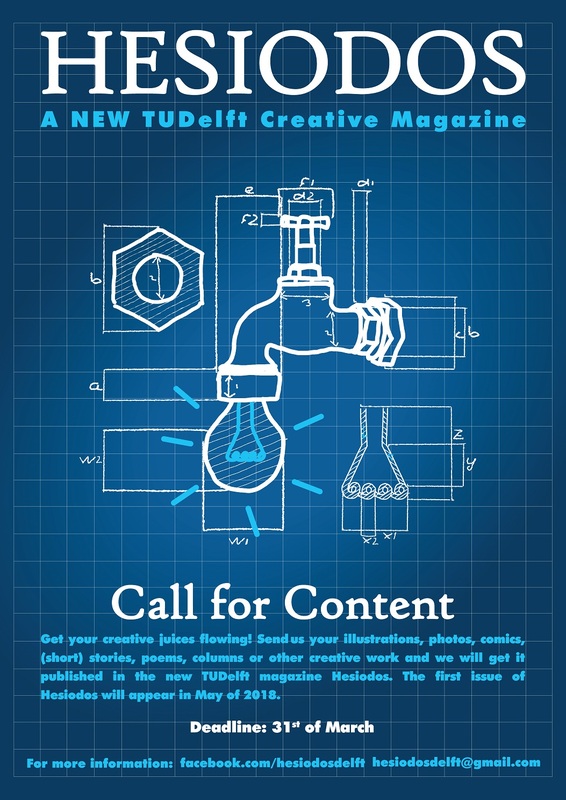 Contributors can send their questions and submissions to hesiodosdelft@gmail.com or check out their Facebook page . Submissions are preferably in English, but there is room for Dutch content as well. You can also be published anonymously, although the editors need be aware of your identity. Previous PostThe best comics & illustrationsNext PostWe Are Public!